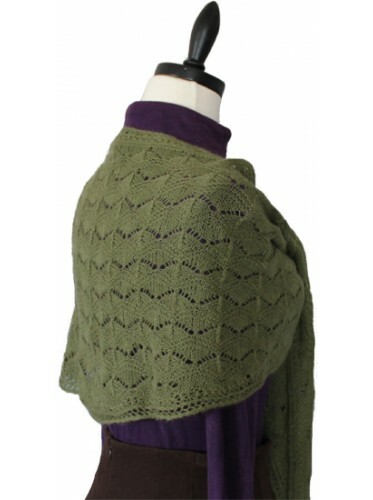 Shawl is knitted with U.S. size 5 (3.25mm) needle. Finished size is 100" X 15". 2 balls of Jojoland Cashmere yarn in color c245.